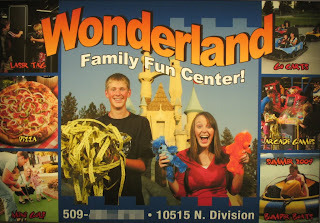 I've nothing against theme parks, but I'm always suspicious when I see ads or billboards for places (such as parks and casinos) with images of people whose expressions are happy to the point of being painful, even masochistic. Ask yourself: do you really want to have that much fun? I'm convinced!! I'm on my way there now (not).